Florida Georgia Line are already big winners, taking home two of the five awards they were nominated for at tonight’s (April 2) 52nd Annualy Academy of Country Music Awards. 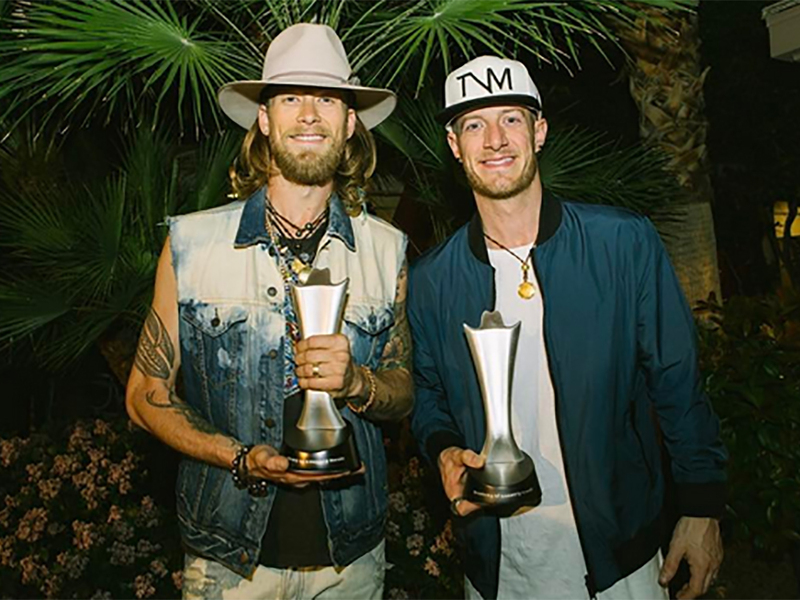 Later that evening Tyler Hubbard and Brian Kelley took to Instagram to announce their big win. “Completely surprised tonight when we were stopped midshow and given two ACM awards for Vocal Event and Single of the Year. Amazing feeling, and even better to celebrate it with all of you in Vegas. Love y’all and thank you,” they posted on Instagram. Producers: Ross Copperman, Arturo Buenahora Jr.